SAINT PETER, Minn. – The Gustavus softball team will travel to Macalester on Tuesday for a doubleheader starting at 4:30 p.m. before hosting Hamline on Friday for a 3:30 p.m. doubleheader start. Friday’s doubleheader was originally scheduled for Wednesday but pushed back due to the forecasted rain. The Gusties enter the weeks contests with a 13-15 overall record and 4-10 mark in the MIAC. Tuesday’s contests will mark the 74th and 75th all-time meetings between the Gusties and Scots with Gustavus currently holding a 62-10-1 advantage. The last time the two teams met on April, 19, 2018, the Gusties took home a 2-o win. Friday’s games will be the 67th and 68th all-time meeting between the two teams with Gustavus currently holding a 44-22 advantage. The last time the two teams met on April, 21, 2018, the Pipers were victorious 6-2. Macalester is most recently coming off a pair of MIAC losses to Carleton Sunday. Through 30 games this season the Scots hit .306 as a team while holding their opponents to an average of .292. Julia Carpenter is the teams leader at the plate, hitting .471 with an OB% of .534, both team highs. Carpenter is also tied for the MIAC lead with 21 stolen bases. Kennedy Kechely and Kaela Jackson are next on the team in batting average with marks of .333 and .330, respectively, with Jackson boasting a team-high ten extra base hits. Sophie Migacz has done a bulk of the work on the mound, starting 22 games and appearing in 26 while compiling a 9-13 record with a 3.65 ERA in 134.1 innings pitched. Hamline is most recently coming off a split with St. Olaf on Tuesday. Through 27 games this season the Pipers are hitting .256 as a team while holding opponents to an average of .279. Megan Rubbelke leads the team, hitting .395, with three home runs, 18 RBI’s, and a slugging percentage of .581. Delaney Kohler has also been solid at the top of the lineup for the Pipers hitting .345 with four doubles and three triples. Alex Molloy has started 15 games on the mound, compiling a record of 10-6 with a 1.66 ERA in 105.1 innings pitched. Gustavus is most recently coming off a series split with St. Catherine on Sunday. Through 28 games this season Gustavus is batting .257 as a team while opponents are batting .279 off the Gustie pitching staff. 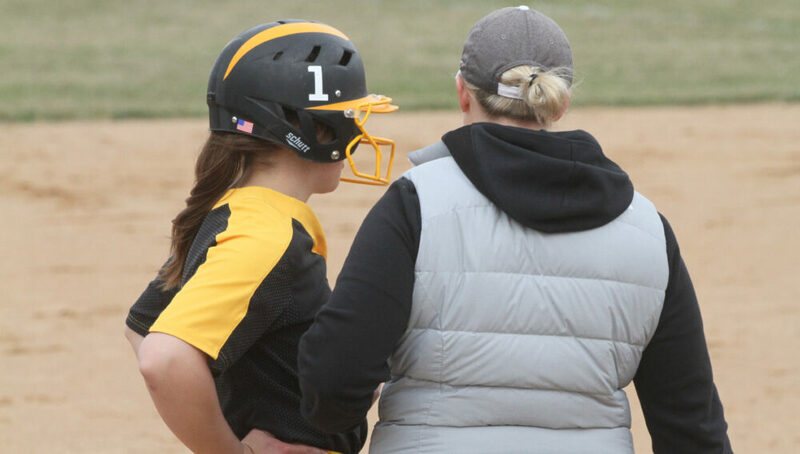 Ashley Neuenfeldt and Aly Freeman have been the two top contributors at the plate and on the mound for Gustavus with Neuenfeldt batting .366 with a team-high 21 runs scored while Freeman bats at a .341 clip with five home runs and 11 doubles for a team-high slugging percentage of .647. On the mound, Neuenfeldt has started 15 games with a record of 4-9 and an ERA of 3.63 in 94.1 innings while Freeman has started 13 games, compiling a 7-6 record with an ERA of 4.31 in 77.1 innings.